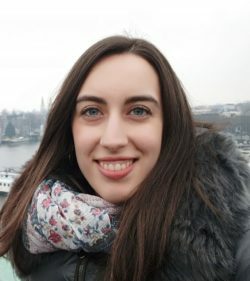 Marta Tío Sáenz is a researcher and PhD student at the University of La Rioja, Spain, currently in the Digital Humanities Institute at the University of Sheffield as Visiting Scholar for six months. Marta is writing a thesis on the lemmatisation of Old English weak verbs with a lemmatiser fed by a relational database. Her work has many intersecting points with Digital Humanities. Marta is part of the research team Nerthus Project http://www.nerthusproject.com.